A blood test can be requested by calling Los Angeles county at (844) 888-2290. The deal to close Exide Technologies’ battery recycling plant in Vernon has extended by several years a voluntary program to test people in the surrounding communities for lead in their blood. In its settlement with federal prosecutorsÂ last week, Exide agreed to provide millions of dollars to clean up lead pollution in the surrounding neighborhoods. Part of that money will pay to extend for at least five years a program set up by the Los Angeles County Public Health Department to provide free blood tests to Exide’s neighbors. The countyÂ set up the blood testing programÂ last April using money that Exide made available under an earlier deal with state regulators. When it was first announced, the program was met with skepticism by many anti-Exide activists. They argued that blood testing is a poor measure of lead exposure, because lead only stays in the blood for about a month before being absorbed into tissue and bone. Community leaders responded to news of the program’s extension with ambivalence. “If we go get our blood tests right now, thatâ€™s not telling us what the last 20 years of exposure have looked like or what the effects have been,” said Mark Lopez, director of East Yard Communities for Environmental Justice, one of the groups that led the charge to shut down the Exide plant. â€œSo of course we encourage folks to get tested to make sure theyâ€™re not currently being overexposed, but a lot of what weâ€™re dealing with has been intergenerational issues of exposure with untold consequences,” he said. Lopez added that many in the community have taken steps to avoid exposing themselves or their families to possible lead contamination. For example, many people no longer allow their children to play near dirt in their homes or eat fruit grown in their yards, he said. The county says itâ€™s spreading the word about the blood tests, but Lopez argued that itâ€™s done a poor job so far. 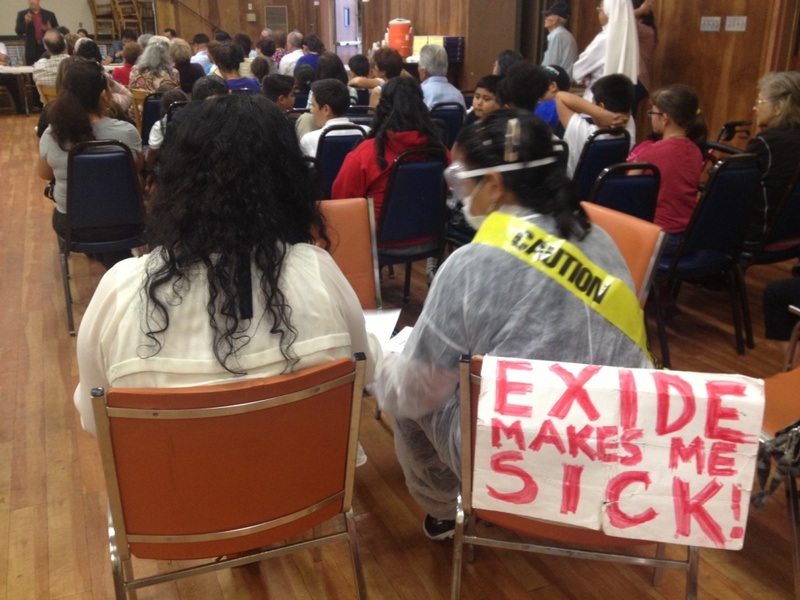 Of the tens of thousands of people who live near the Exide plant, only about 600 have been tested since the program began last April. Lopez said many of Exide’s neighbors don’t even know the free blood tests are available. A blood test can be requested by calling the county at (844) 888-2290.